Fun N Activity Day with the theme of plants was celebrated on 28th December 2018. 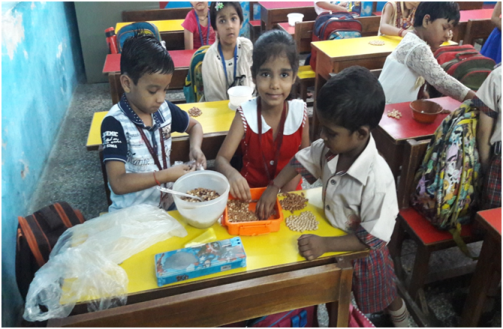 To provide hands on experience, kids were encouraged to perform the experiments on ‘seed germination’ and observe the process of growth of a plant. Kids also visited the school garden to appreciate beauty of nature. They also observed different parts of plants and acknowledged the difference between different plants. 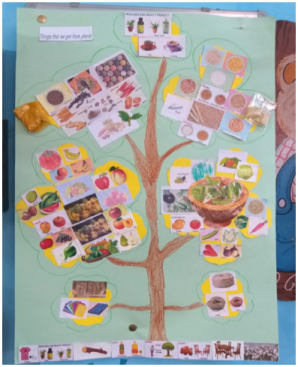 To enhance child’s horizon, collage on the topic-Things we get from plants was designed by the kids. To strengthen the bond between humans and plants and to spread awareness on the importance of saving trees, a stick puppet of plant was prepared by the kids. They were sensitized towards different needs of plants and were encouraged to water them daily.